Get the secure fit of a boot with all of OluKai's comfort built in. It's your mid-cut rugged yet versatile, go-to boot choice for any season. Full waterproof construction and breathable membrane, gussetted tongue and seam sealing. 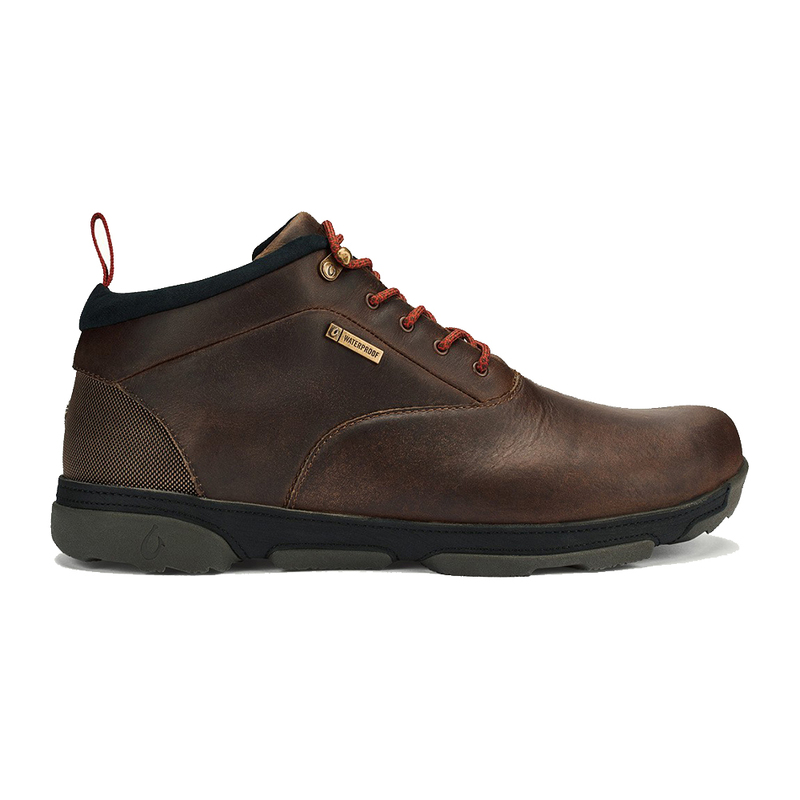 Durable, non-marketing, lightweight 'Wet Grip Rubber' with directional outsole lug design for superior traction and versatility. Wrapped in high abrasion TecTuff synthetic leather. Dual-density anatomical PU footbed with a polyurethane gel insert. Soft jersey knit footbed cover featuring an Island-inspired topographical artwork. Removable and washable.